"It denies us the right of worshipping the Almighty according to the dictates of our own conscience, by the support of a national religion, calculated to promote the temporal interests of its human functionaries rather than the true and living God"
As with most such documents, there is some exaggeration of the actual state of affairs. While it is true that conversion to Roman Catholicism was a condition of obtaining land in Mexican Texas, the Mexican government paid little attention to the religious lives of the immigrants from the United States. Methodist preachers, including William Medford, Benjamin Babbit, James Scott, and John Wesley Kenney, all obtained Mexican land grants and continued to function as local preachers. 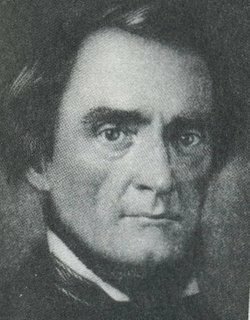 William Smith, a Methodist Protestant, Presbyterians Peter Fulinwider and Sumner Bacon, and Baptist Danny Parker all operated in Texas with little governmental interference before the Revolution. Medford, for example, had a four point ciruit, and the the 1834 and 1835 Caney Creek Camp Meetings are well documented. What about charges of Roman Catholic tyranny? Only one priest, the Irish-born Michael Muldoon, was ever appointed to the colonies, and he only for 1831-1832. Not much of an effort at tyranny. The main attitude of Mexican authorities toward religion, either Catholic or Protestant was indifference. The success of the Revolution did open the floodgates for Methodist missionaries from the United States. In the 1850 U.S. Census, over 60 per cent of the men who listed their occupation as clergyman were Methodist. The settlement of the Blackland Prairie in Texas presented interesting challenges and wonderful possibilities for the immigrants arriving from the United States in the 1840s and 1850s. On the one hand, the soil possessed unsurpassed fertility. On the other hand, the lack of trees presented problems. Settlers from the eastern United States depended upon timber for homes, split rail fences, implements, and fuel. The oak and beech trees provided food for their swine. The Blackland Prairie did have some timber along watercourses, but not nearly enough to support the kind of settlement to which they were accustomed. One such imigrant was the Rev. Alexander Hinkle (b. 1829 in Alabama). He had joined the Tennessee Conference in 1849 and transferred to the East Texas Conference in 1851. He served Marshall, Henderson, and San Augustine, and in Nov. 1855 Bishop Pierce appointed him to the Dallas Circuit. For a man who had spent his life in the "Great Southern Forest," his first winter on the prairie was quite a surprise. Here is an excerpt from one of his letters. It would seem from the powers of these Northers that we have been tossed right under the North Pole. I have gone round my circuit twice have been nearly frozen fifty times. These winds, Heavens, what winds! Blow, blow, blow they come, whistling, wheezing, screaming, piercing right straight, it would seem, from Iceland or some colder place til the life is nearly blown out of a poor fellow. O how often have I wished for a tree or a grove of them, to break the wind, if it were only off my nose. For I assure you by my honor that the drip from my nose has frozen an icical (sic) two inches long. One year on the prairie was enough. At the next conference Hinkle took a superannuated relationship even though he was only 27 years old. He moved to Houston and eventually joined the Texas Conference. He died in Houston in 1890 and was buried there. His letter from Feb. 19, 1856 is preserved at Bridwell Library, SMU. then click on "Proud of East Texas--FUMC Jacksonville." Thanks to May Lou Meyers for alerting us to the story. One of the most popular enterprises in the Republic of Texas was town building. Some founders such as John and Augustus Allen who founded Houston, succeeded. Many others, including John W. Hall of Washington, did not. His town enjoyed a brief heyday in the 1840s and 1850s, but was eventually deserted. The LaBahia Road crossing of the Brazos River was a good place for a town. Andrew Robinson operated a ferry there as early as 1822. In 1831 he gave land to his daughter Patsy and her husband John W. Hall who platted a town. John W. Kenney built the first house there after his arrival in December, 1833. In 1836 the town hosted the convention that issued the Texas Declaration of Independence. Washington was one of the first cities to chartered by the new Republic of Texas. In 1837 Rev. Z. N. Morrell founded a Missionary Baptist Church and Robert Alexander organized a MEC church. The trustees of that church executed a deed on Feb. 10, 1838. They paid John Hall $400 for two town lots. Martin Ruter, head of the Texas Mission, witnessed the deed. Two days later they filed the deed with the county. Three months later Ruter died and was buried in Washington. Washington enjoyed a period of prosperity based on its steamboat traffic. It boasted churches, a Masonic Lodge, a school, and governmental offices. Unfortunately, from a Methodist perspective, it also had numerous gambling houses, taverns, and even a horse race track. Washington's demise can be traced to the decision of the townspeople to refuse to pay the bonus demanded by the railroad to build tracks to the town. Commerce that had once been shipped by steamboat down the Brazos was now diverted to Navasota and Brenham. The town was deserted. Even Martin Ruter's remains were relocated to Navasota. Presiding Elders often reported on their quarterly meetings by publishing in the Texas Wesleyan Banner and later the Texas Christian Advocate. Those reports provide rich insights into early Texas Methodism. The following is a portion of Robert Alexander's report on the church at Montgomery pubished in the Banner on Feb. 8, 1851. The good people of Montgomery are quite a church-going people. In time gone by much has been said of the wickedness and infidelity of the people there, but in my visits I have found numerous and attentive hearers. and a kind and hospitable people. Last October great interest was manifest in the subject of religion, and a gracious and power revival commenced. The meeting was protracted several days, and eight were added to the M. E. Church, South. . . .Soon afterwards the Baptist brethren commenced a meeting that lasted six weeks, which produced accessions to their church, perhaps 70. . the people of color shared largely in the good work. The few colored members we had were all induced to go to the "liquid grave" and over from the white membership. May God help them. Who else will? (Baptist) doctrine is that none are safe who have not been immersed by one in "succession" from "John Baptist."